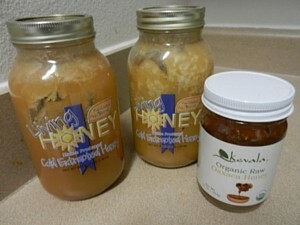 Raw Honey is a near perfect food. Are you someone that enjoys it? Many do. And many are aware of its centuries-old healing benefits, vitamins, minerals and phytonutrients. However these properties are only attributed to raw, unpasteurized honey. When it has been heated, pasteurized or processed, it has lost much or all of its health benefits. And some of these benefits are tremendous. When it is removed from the comb, it contains many impurities. Bits of the comb, bee wings, small bits of other debris is part of the removed honey. It is primarly how these are removed and how the product is bottled that determines whether or not it remains raw. Initially it goes through a process called straining to remove the larger pieces of debris. While some debate this, the product remains raw after this process. One company called Living Honey does not even use a strainer, but uses a process of containers and gravity to remove the debris. We have had this brand numerous times and it is delicious. The owner of Living Honey has provided the images used in this article. We will add our video interview with him to the site in the upcoming months. The next step is filtering. There are many sizes of filters and those that use course filter often still retain the raw properties. To use a fine filter, it must be heated so it will flow through the filters. This is where it loses it raw state. When honey is heated above 105 degrees, it begins losing its nutrient value. 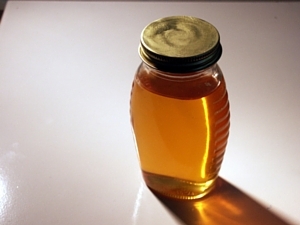 Many times it is heated at 110 – 130 degrees and this honey is then pasteurized and no longer raw by any definition. The real division is when it has been slightly heated. When it is heated up to 95-105 degrees, some still consider it raw and others believe it is no longer is. Within these temperatures, the product still have much nutritional benefit. Ideally, the honey should never be heated even at these temperatures. Most times when it is still raw, it is in a solid state although it can be liquid during its first few months in the bottle. Occasionally some honey even in its raw state will stay as a liquid for a year or two. Raw is generally defined as not being heated above 118 degrees. It will be milky white to cream to dark brown colored and most often in a solid creamed state. This is the best kind. Raw and Organic. But getting Organic is difficult as the bees fly great distances. 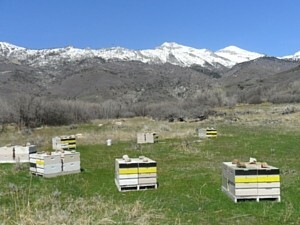 The one brand mentioned earlier, Living Honey has a few of its hives high in the mountains of Utah in remote clearings several miles from any cultivated fields. This is indeed organic and raw. However they also wake their bees up in the spring with conventional sugar water meaning it is not completely non-GMO. So often the best choice is to do the best you can sourcing from organic and raw or raw and labeled as Non-GMO. A recent trend to avoid the croplands with their GMOs, or genetically modified plants and crops, is that of urban bee farms. Some of these apiaries are placed on the top of buildings in urban areas where the bees never fly out of the urban setting. While this prevents contact with the GM crops, it also introduces non-organic flowers and plants and other chemical such as household pesticides. Still it is great to see this trend develop. 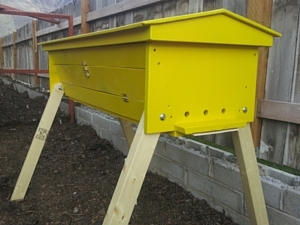 Even more backyard apiaries are springing up both to provide homegrown honey and to help address the bee colony die offs and loss of bee populations. Sweetener -One benefit of using it is simply that it is a pure sweetener, providing energy that can be substituted for other sweeteners like sugar. A Natural Antibacterial – A primary benefit is that it contains some powerful antibacterial and anti viral components. Propolis, a side product of the pollen collection process of the bees, contains many anti bacterial and antifungal properties. Propolis and pollen are usually a part of raw honey. When raw, it stays unspoiled for years and also remains intact when eaten, maintaining its ability to fight bacteria. Wound Healing – Specific honeys can even heal wounds. Manuka honey which bees collect from Manuka shrubs in New Zealand contains enough antibacterial qualities that it is used in many countries to treat wounds. It is graded 10+, 12+. 20+ etc describing the strength of this healing ability. In some cases, hospitals have used bandages saturated with this Manuka variety to treat wounds, infections and burns that will not heal with conventional medicines. Maunka honey contains a compound known as methylglyoxal, or MG. The amount of MG is what is used in rating Manuka. It is then given a rating of UMF or Unique Manuka Factor. To be considered effective at healing the UMF must be at a level of 10 or higher. Below that , it is labeled as simply Maunka. Above and it is labeled as Active Manuka. If it is used as a last resort to treat the worst cases, perhaps it should be considered more as a first treatment with no side effects as are seen with medicines. Some of this comes from the presence of hydrogen peroxide found in the raw product. What hospitals use is medical grade clean honey. Certainly no benefit will be experienced form using store bought, pasteurized type that is often combined with high fructose corn syrup. That type is dead and has no benefit. Phytonutrients – Another benefit is the phytonutrient content. Along with the vitamins and active enzymes, honey contains phytonutrients as the bees collect it form plants that also contain these. Cold Relief – Got a cold? Have a sore throat? Try some raw. Again the store bought pasteurized versions will provide no benefit. Try it right from the jar or in some warm tea or lemon water. Its antibiotic properties often help in these situations. In fact studies have shown that it can often be more effective than conventional cough medicine at reducing a cough. Skin Irritations – Honey can also be used in minor cases of acne, skin rashes or minor scrapes. We don’t know all the reasons Raw Honey can heal the body and improve overall health. We have learned about many of its properties and the reasons for its benefits. Even if we do not discover all of the reasons, we know it has hidden properties that benefits us in ways we do not yet understand. 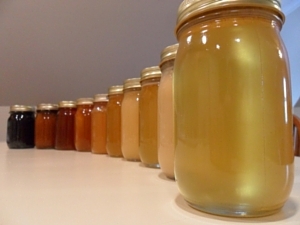 Alkaline– Honey is also alkaline forming whereas the processed type in the little plastic bear containers is acid forming. having the body in an alkaline state is always recommended by knowledgeable health professionals. You like honey? Try consuming more. Haven’t tried it raw? 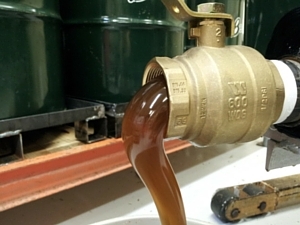 Find some local or even national brand of raw liquid gold and add it to your lifestyle. One brand that is perhaps the best organic non-GMO raw honey is Wedderspoon. This brand has some non-Manuka varieties that are so potent that they have some of the same healing properties as Manuka. You will be better for it. Here are some additional best foods to include in your diet.